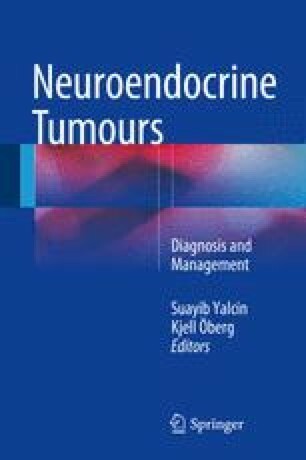 Presence of liver metastases in neuroendocrine tumors is a major factor altering both quality of life and prognosis. Surgery is recognized as the sole curative treatment. When it is not possible, radiological-directed therapies are crucial. This chapter addresses the various roles, technical issues, clinical efficacy, and safety of thermal ablation (radiofrequency, microwave, and cryotherapy) and transarterial embolization (bland embolization, chemoembolization, and radioembolization) as liver-directed therapies. The choice of management depends on liver burden and metastases pattern but also on origin of the primary tumor, tumor differentiation, and tumor proliferative activity. The treatment of neuroendocrine liver metastases still needs to be standardized. Management in centers of expertise should be strongly encouraged in order to enable a multidisciplinary approach to limit morbidity and mortality.